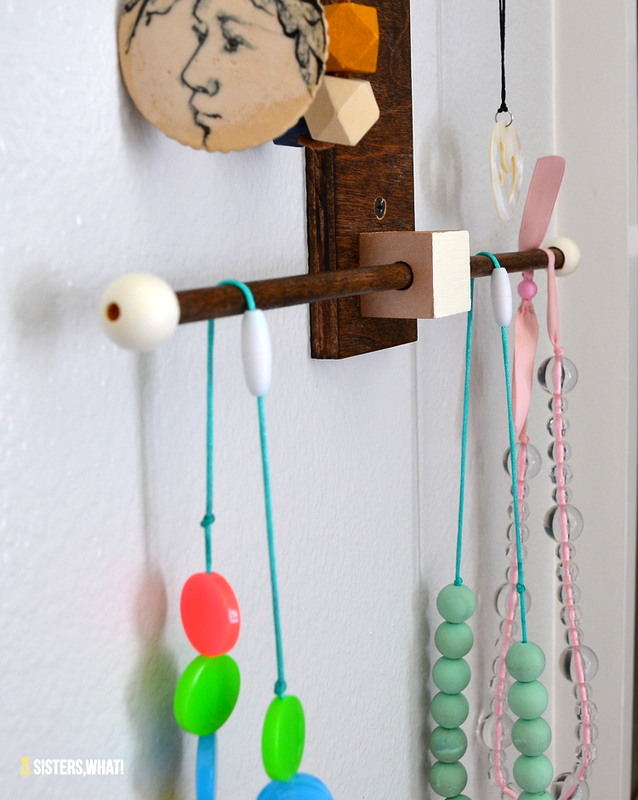 ' DIY Modern Wood Necklace Hanger - Sisters, What! 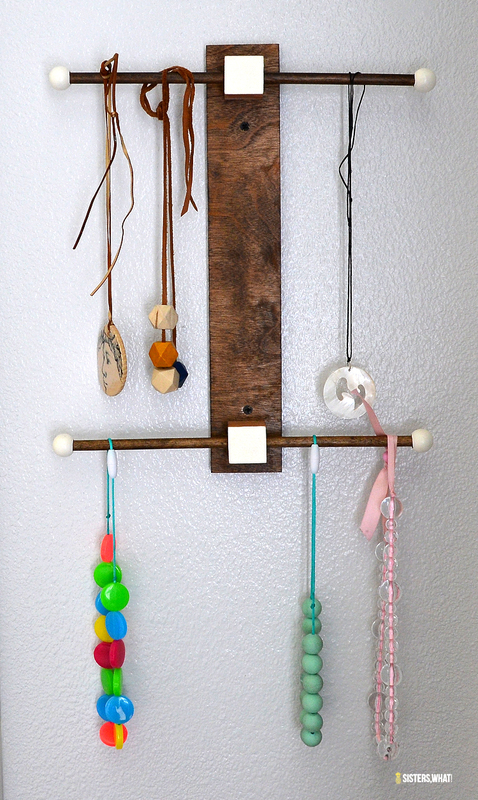 This modern wood necklace holder is easy to make and a fun way to hold your necklaces. Plus you can customize it with any stain or color to match your room decor. Since having kids, I haven't been a consistent necklace wearer. I would wear them on the ocassional Sunday but that's about it. BUT then I had a girl. Ok, she didn't change anything until she turned two. Apparently she is a very observant person and realized girls wear necklaces and wanted to wear them too. Someone gave her one and then I found some big beads on sale and made her a couple. She loves her necklaces, like wears one almost every day. And some days, she picks out one for me to wear. And because I love her, I oblige. How could I not. 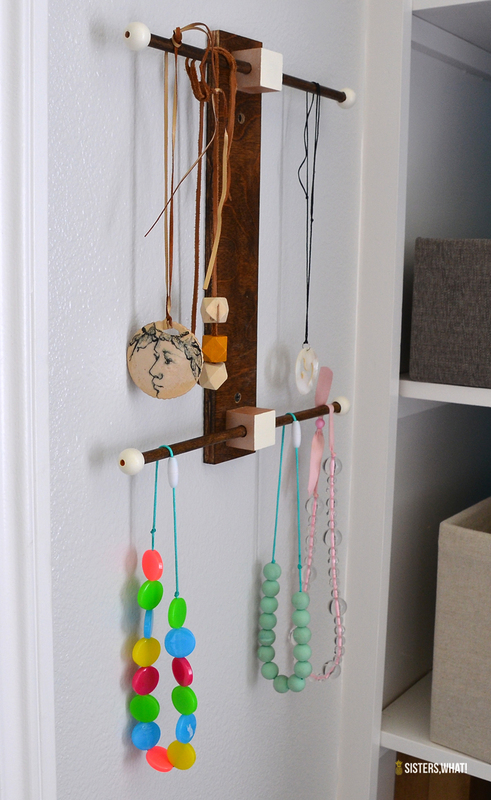 I was getting tired of the necklaces ending up all over the floors of various rooms so I decided she and I both needed a necklace holder that we could share. 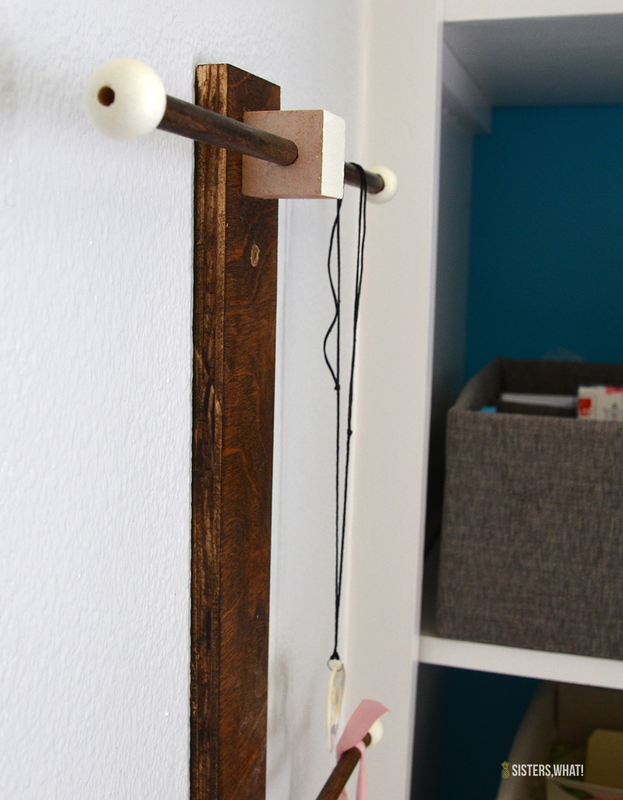 And thus this simple modern stained wood necklace hanger was born!! It was pretty simple and aesthetically pleasing. Plus, I'm proud to say that I did it all by myself....well almost, my husband helped me a little. 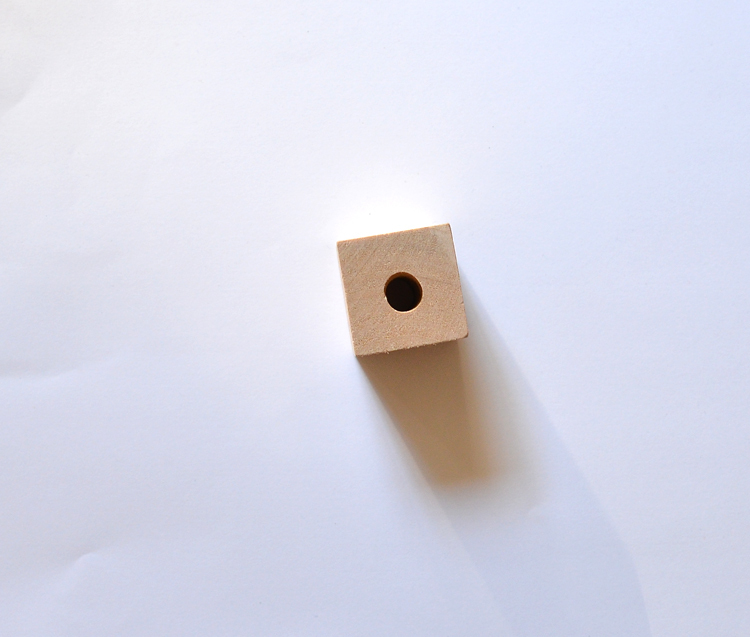 First you want to drill a hole inside the center of each cube. 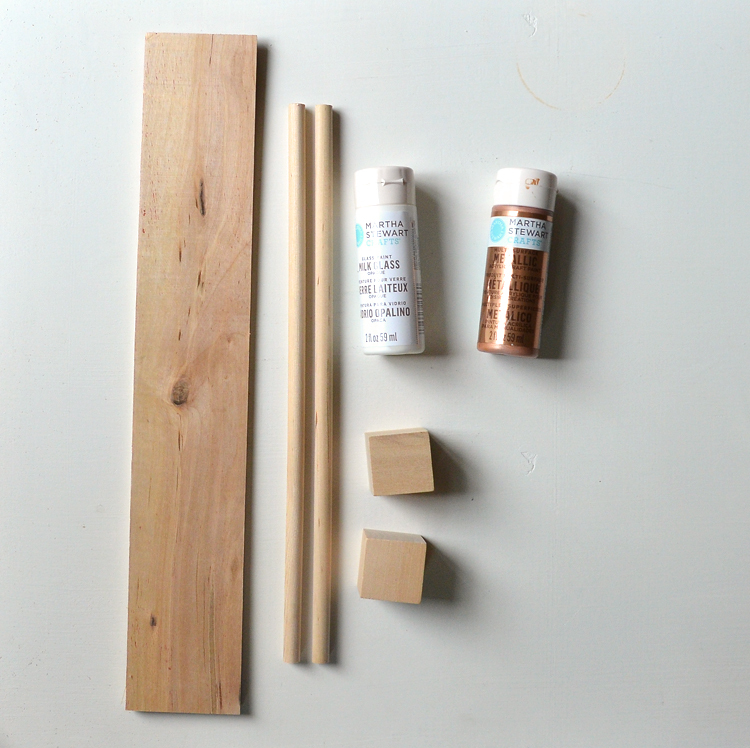 It needs to be the size of the dowel that your going to put inside it. 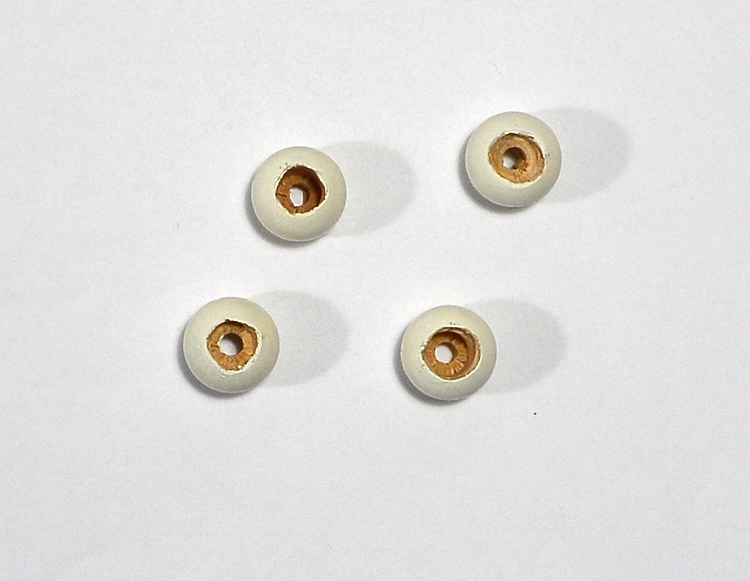 Next, if you want to add the balls at the end, then while your drilling the cubes, using the same drill bit and drill in just a little into the balls. Then paint your balls. If you want to, paint your cube white or color of choice. 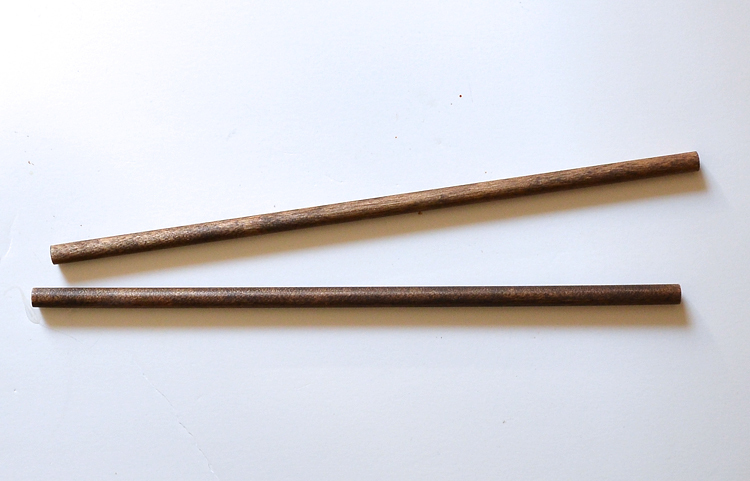 As for the dowels, I chose to stain them a dark walnut color. If you stain them, make sure to seal them with a sealer. Now for the wood plywood. Cut to desired length and width - I chose 16" by 3". I also stained it and then assembled all the pieces. Sorry I forgot to take pictures at this part. But I basically glued the cubes with wood glue on the spot I wanted them. I then used clamps to hold them in place. Through the back of the plywood, I doubled secured the cubes onto the plywood with screws. And your done. I put it at my 3 year old's level so she can get them down when she wants. She loves that she gets to hang her necklaces on the same place as mine. As you see, I don't wear very many necklaces :).